Coconut oil is a hot beauty product right now, but it really an effective face cleanser? Is it the skincare miracle it’s been made out to be? Does it get rid of acne? I decided to put it to the test and use it to wash my face for a week. The oil cleansing method has become extremely popular in the past few years, and while you can buy expensive oil cleansers a lot of people have started just using cooking oil to clean their faces. Everything from olive oil to canola oil to jojoba oil - if there's oil in the name, someone's used it as a cleanser. Coconut oil has received the most buzz, with claims it can reduce wrinkles and fine lines, moisturise skin and fix acne, while also cleansing your skin. I’ll try anything once, which is why I’m a beauty editor! But to really test out coconut oil as a cleanser, I thought I would use it for a week, morning and night, and see how my skin felt at the end. This meant abandoning my extremely large collection of products, and instead rubbing cooking oil all over my face. This also meant that whenever new samples arrived on my desk I had to stop myself from immediately testing them out because I wanted to let the coconut oil do its job. My skin: Break outs and blackheads are my biggest concern, and most of the skin products I use on a day to day basis are designed to combat this. I also have a few fine lines starting to develop around my eyes and forehead. I had heard good things about how coconut oil completely cleared other people’s skin up, so I was very excited to try it out. 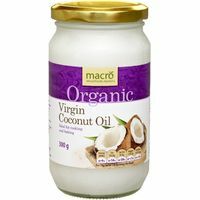 1 tspn coconut oil (I spoon a small amount out of the jar, I don’t use my fingers as it is quite hard and I wanted to keep the jar clean). Massage over your skin, taking care not to get it in your eyes. Your makeup will start blending over your face, so if you’re wearing a lot of black eye makeup your face may briefly look grey. I washed my face morning and night with this method, and didn’t use any other skincare products apart from a very light moisturiser. I still wore my daily makeup, which includes liquid foundation. The first time using the coconut oil felt weird. It starts off hard in the jar, but quickly melts as your warm it up in your hands. You massage it on, and then remove it with the warm cloth. I wear makeup every single day, and I didn’t scrub hard enough with the cloth because there were still traces of foundation on my skin when I wiped off the excess oil with a tissue later. However my eye makeup came off really easily, which I didn’t expect. My skin felt really soft, and the pores on my nose looked slightly more refined, which is always nice! I had perfected my technique and all my makeup was coming off. However, I definitely had a few more pimples on my forehead. 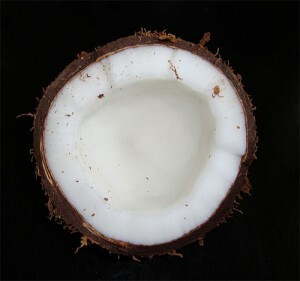 Normally I would apply a mask or use a pimple treatment, but instead I just hoped the coconut would work it’s magic. My makeup seemed to be getting oilier earlier in the day, which I can only put down to the coconut oil. My skin was softer and more moisturised than it had ever felt. However it did not really feel clean, and my break outs and blackheads seemed to be worse. After doing some research this seemed to be my skin purging – but I couldn’t handle it. I abandoned the coconut oil and booked myself in for an extraction facial. I’m sorry coconut oil, I just didn’t love you enough. Had to scrub quite hard to make sure foundation was all removed. The verdict: I don’t think I really have the right type of skin to be cleansing with coconut oil. If pimples are not one of your skin concerns, then this method could really work for you. If you don’t wear makeup and don’t need a really deep cleanse I can definitely see how coconut oil would be a great choice for you. A lot of people have had really great results, so if you can stick with it you might find that you love it. For me, I’m going back to my cleansers, masks and treatments. I did take before and after photos, but I don't think the world needs to see those. If you want to try some coconut scented products, see some of our absolute favourites here. To add just a little bit of coconut into your life, check out the Dirty Works Coconut Caress Body Scrub or the Dirty Works Coconut Caress Body Butter. Want to receive 5+ beauty and lifestyle products in the mail each month? Subscribe to bellabox now!